Société Générale has acquired renewable energy crowdfunding platform Lumo to strengthen its services in the sector. Founded in 2012, Lumo opens up renewable energy financing opportunities to individuals and companies. Not to be confused with the UK energy tariff app or the Australian energy firm of the same name, Lumo is an online platform inviting investment into a selection of green energy projects based in France. Example projects include the wind farm of Paizay-le-Tort and the photovoltaic plant in Montreuil-Bellay. With the purchase of the French fintech, Société Générale says it can better support its major energy clients in developing their projects as requested by the government’s renewable energy liberation plan, part of the national climate plan. 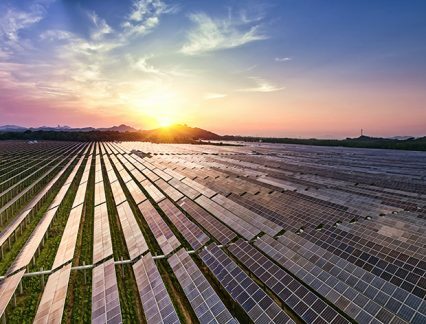 To address the increased need for retail investors in renewable energy projects, Société Générale will suggest its corporate clients sign up to the platform, which has been assessed by the bank’s security, IT and compliance teams. However, Lumo itself will remain an independent start-up, offering its services to customers beyond those of Société Générale. The reasoning behind this is that “participatory financing” (i.e. crowdfunding) is a crucial driver toward social acceptance of green energy projects in communities, as it gives a greater number of individuals a financial stake in them. To date, lay investors have contributed to some 40 projects through Lumo, consisting of 70 plants for photovoltaic, wind or hydro-electricity. Currently, over 260 million kWh of green electricity is generated through Lumo’s projects each year – enough to cover the annual energy needs of almost 100,000 households. Any individual or organisation can join Lumo by creating an online account with verified ID, proof of address and tax documents. The company managing a project issues debt in the form of bonds which registered users subscribe to. Investors pay into and earn interest from projects through their personal Lumo “piggy bank” online. When a user pays in, the payment goes to an electronic account hosted by S-Money, a financial institution that is part of the Banque Populaire Caisse d’Epargne (BPCE) group. The bank sees the acquisition as opening the way for “new types of digital services that are adapted to the needs and expectations of individual and corporate clients alike”, according to its press release. The bank separately aims to raise €100bn between 2016 and 2020 to finance the energy transition – €15bn of which will go towards advisory services and project financing for the renewable energy sector, with the remaining €85bn for sustainable bonds.